Jesus did not leave His followers with such a great responsibility without giving us the ability to fulfill the challenge. Spiritual gifts are supernatural abilities given by the Holy Spirit to empower believers to be effective witnesses of the Gospel. The word "spiritual" means "characterized or controlled by the Holy Spirit". A "gift" is something freely given from one person to another. 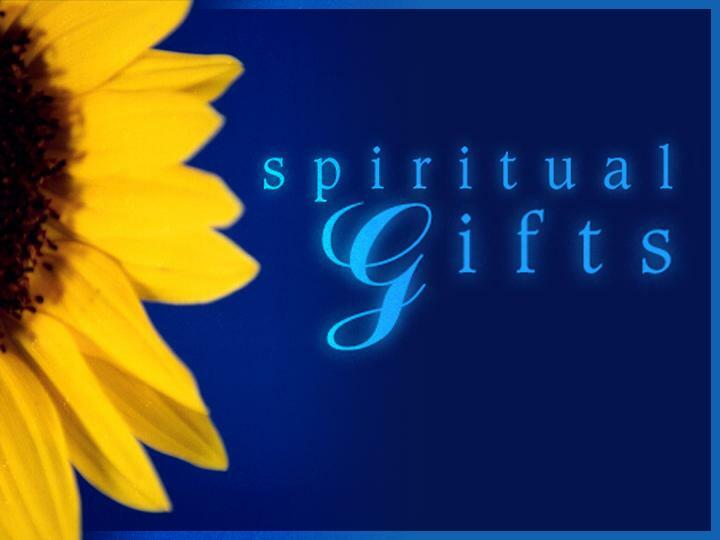 A spiritual gift is a supernatural ability given by the Holy Spirit to a believer to minister as part of the Body of Christ. The "gift" of the Holy Spirit has already been given in answer to this promise. Because every believer has at least one spiritual gift, we each have a responsibility to discover and use our gift. You will not be judged by how many spiritual gifts you have. You will be judged by your faithfulness to use the spiritual gift or gifts you have been given. The parable of the talents in Matthew 25:14-30 confirms this truth. A person may have more than one gift, but no one has all the gifts of the Spirit. If he did, then he would have no need of others in the Body of Christ. Spiritual gifts come from the Holy Spirit. They cannot be obtained by any other method. You cannot just decide you want to have or use a certain spiritual gift. The Holy Spirit must give it to you. It can be dangerous to try to operate a gift without the Holy Spirit's anointing. God is not the author of confusion. Where there is confusion the gifts are not being used correctly. Spiritual gifts can also be improperly used when you manipulate people, gain wealth, or use them for your own selfish satisfaction rather than in ministry to others. The guidelines for use of gifts which Paul gives in I Corinthians 12-14 prevent confusion. When you "glorify" your gift, you consider it more special than other gifts. You begin to see the gift as greater than the Giver. Regardless of which gift we may have, one is not to be esteemed above the other; each one glorifies God in it's own unique way.